If you're looking for a place to live you already know to be on guard againat “rental scammers” or “landlord scammers” – thieves who fraudulently collect rental deposits on houses they don't own. 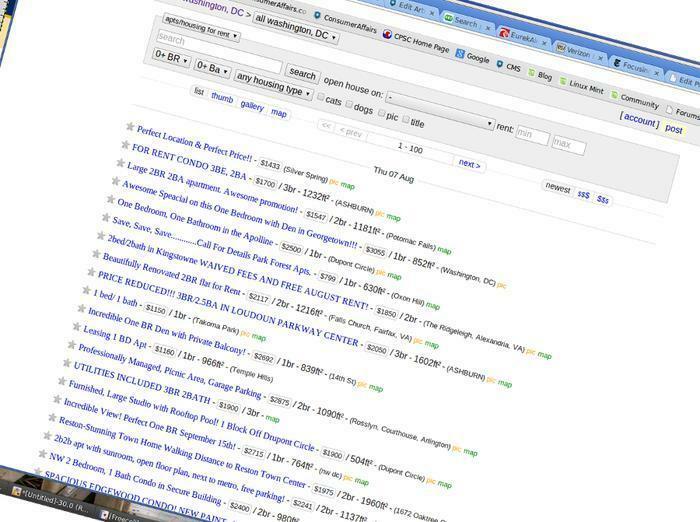 The typical rental scam usually works like this: the thief visits a genuine real estate website offering places for sale or rent; copies the photos, addresses and other information from various listings; then use this to put up a convincing-looking listing, usually on Craigslist or some other local-based classifieds board. Earlier this summer we told you about a few rental scammers who most likely operate from overseas; I personally once answered a rental ad in good faith and immediately recognized a scam when the “landlord” wrote back to say he's currently doing Christian missionary work in China, but if I wire him the deposit money there he'll get the keys to me. Incidents like that explain why we warn prospective renters to always meet the would-be landlord or rental agent face to face; never try renting from someone with whom you only ever have remote contact. “Always meet face to face” is an important anti-scam rule but it's not the only rule, and it wasn't enough to protect the victims of Gino Eckstein, the 21-year-old San Francisco man and alleged rental scammer who was arrested this week on suspicion of residential burglary, possession of stolen property, renting property under false pretenses and identity theft. Eckstein allegedly stole the “For Sale” sign off the lawn of an actual house for sale in the city of Hercules, then put up a Craigslist ad offering the house for rent. The San Francisco Gate said that an unnamed woman and would-be victim first let police know about his scam, after she answered the Craigslist ad and met Eckstein at the house. Eckstein introduced himself as “Eric Stegner,” and said he was managing the property for his father. He showed the woman into the house (hence the burglary charge), gave her a credit application and asked for a $1,500 deposit in cash or a cashier's check. The woman agreed to give “Stegner” the deposit money at a later date. Luckily, before making any payments she spoke to a real-estate-agent friend of hers, who told her that house was actually for sale, not for rent. (Indeed, the real owner had accepted a sale offer on the very day she toured the house as a renter.) The woman called the police and helped them catch Eckstein by agreeing to meet him back at the house to hand over the deposit payment. Hercules police think there might be other victims cheated by Eckstein's rental scam, and are actively looking for anyone who answered a Craiglist rental ad and spoke to an “Eric Stegner” about renting a house.